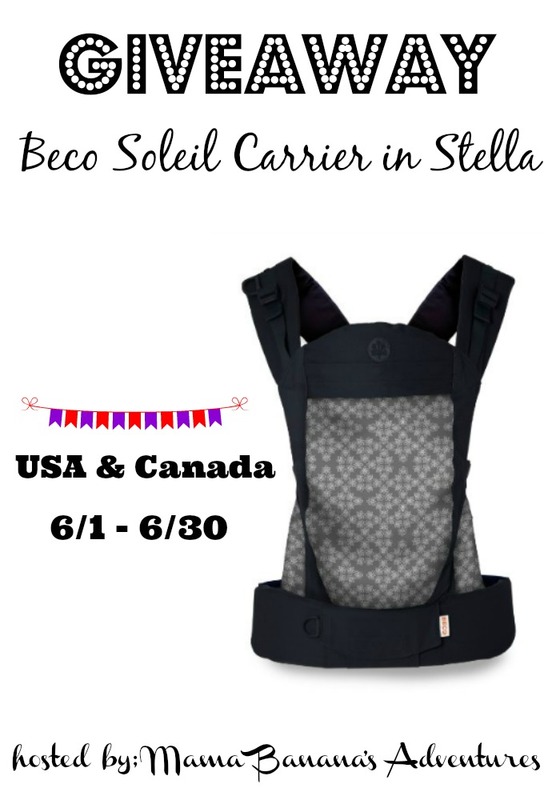 Beco Soleil Carriers are well known for their versatility and selection in prints and patterns. 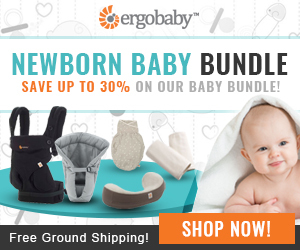 With the infant insert, these carriers go from 7-45 pounds and position baby ergonomically. In addition to the Soleil, the company also carriers the toddler and Gemini. 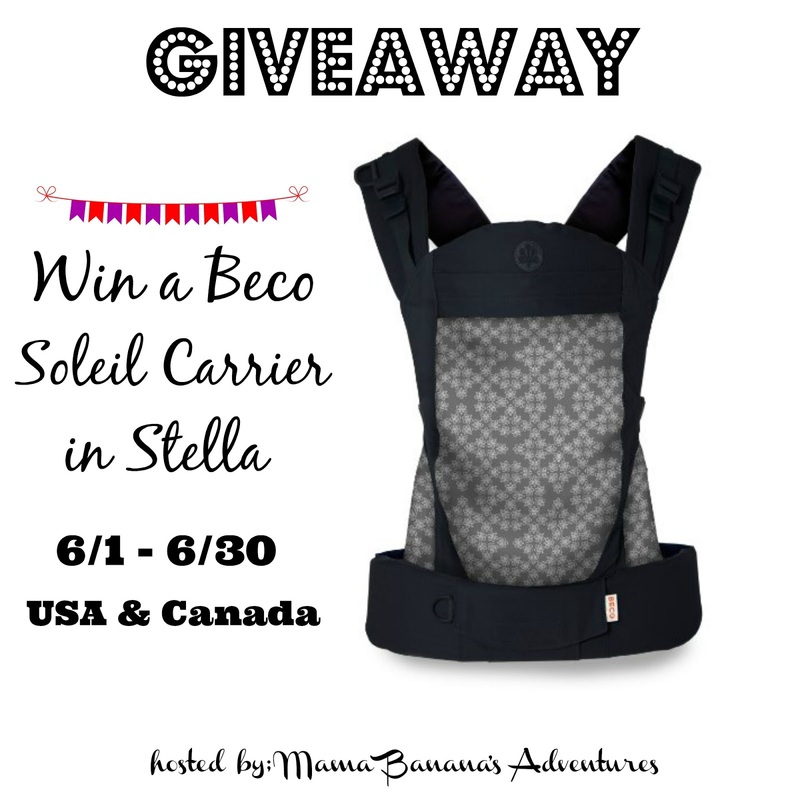 You can read Mama Banana’s review of their other carrier, the Beco Gemini, to see more about these carriers and brand. Why Beco? The Beco Soleil Comes in Fantastic Colors and has many features. In addition, this design is no longer in production and highly sought after! 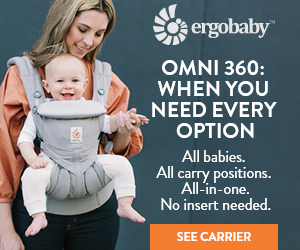 One lucky USA or Canadian based resident will win this beautiful carrier! 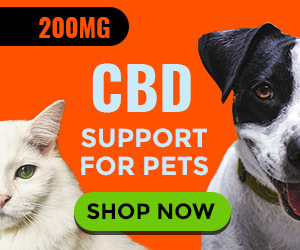 Contest open to 18+ legal residents, void where prohibited. 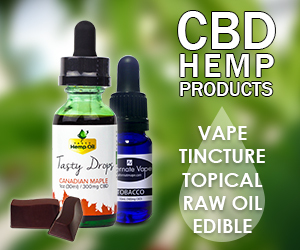 Winner will have 48 hours to respond to e-mail sent to address provided. Good luck and thanks for stopping by!